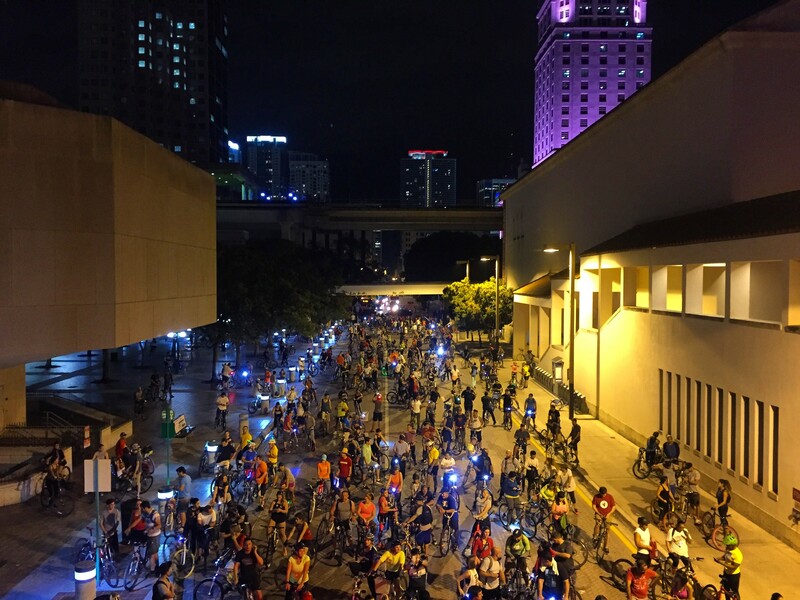 This week’s Twittersphere has been humming with speculation, following rumors that the City of Miami Police Department may considering rescinding support of Critical Mass. We’ve been reading and thinking about this too – and we have a dilemma. Like it or not, Critical Mass is more than just a bike ride or a traffic disruption, it is an element of bicycle advocacy. Though some of us are not fans of the Critical Mass approach, we are always concerned that both bicycle advocates and bicycle advocacy receive fair treatment. So what is so good – or bad – about Critical Mass? Depending on where you’ve been and when you’ve come across one, Critical Mass can be anything from a gigantic assembly of everyone and anyone imaginable on a bicycle, or a relatively small ride with – once again – people from all walks of life. At the same time, other countries were experimenting – and eventually standardizing – separated bike lanes and facilities, giving people of all ages, occupations, and lifestyles the option of using a bicycle for transportation. Yet, most American cities eschewed this equitable approach (with notable exception to Davis, California), as many planners and road cyclists of the time sided with the writings of John Forester – a theorist and road cyclist who contends that separated infrastructure puts the bicycle rider beneath the motorist for priority and respect. But old recommendations die hard. Nearly 50 years later, there is no great concern to rectify this error. And from these advocates emerged Critical Mass. Then it grew…and grew…and grew some more. Today, an established Critical Mass can be thousands of people on bicycles, but since the ride has always been without definition or purpose since its inception, anyone can impart their own agenda on it – for better or worse. Want to ride your bike without worrying too much about cars? Ride with Critical Mass. Want justice for bicycle riders? Ride for it at Critical Mass. Tired of drivers treating you like a target on the road? Cut ‘em off at Critical Mass. Want to blend into the masses while drunk as a skunk? Booze it up at Critical Mass – there are no bouncers at the door. See what we mean? It’s a bike ride, but it can also be a mess. 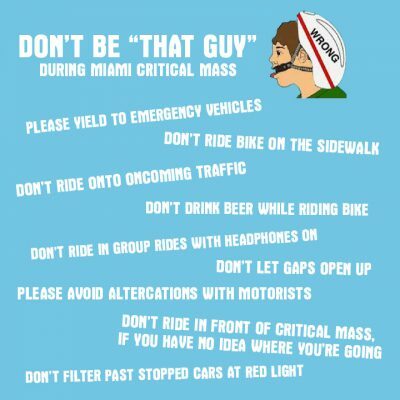 As the Miami Bike Scene blog often points out, ”that guy” is the one who can ruin the ride for everyone. History lesson aside, the problem is that we do not look at the one individual person on the bicycle that is causing trouble, especially in the United States. The easily target is the huge group of bicycle riders, which makes Critical Mass an advocacy issue for every rider – and organization – who wishes to bring about positive change. Thus, when a city takes actions for or against Critical Mass, these actions directly affect perceptions about all bicycle riders, and can unfairly encourage broader punitive action. 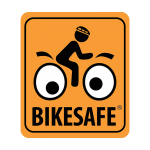 Other group rides – or bicycle users in general – can become targets. For instance, in NYC, any group of 50 or more people on bicycles are at risk of being ticketed or arrested without a parade permit.4 In some bicycle-friendly cities – even those here in the US – rush hour traffic on their protected bike lane networks would easily constitute an assembly of over 50 bicycle riders. Legislation such as NYC’s opens up a possible loophole to people’s civil liberties in this scenario. Remember that quandary we had at the start of this article? It should be clear now. We’re not really fans of Critical Mass due to its confrontational approach to bicycle advocacy, but it has grown into something much more mainstream than its origins. How our cities approach the Mass can and will affect advocacy as a whole. As such, it should be handled with the greater good in mind. We can understand the Miami Police Department – any police department, for that matter – considering the possibility of not assisting an event that takes so many officers to protect and can get out of hand by virtue of a few bad apples or impatient drivers. Just the same, as a bicycle event, Critical Mass still deserves a level of careful consideration and benefits heavily from LEO protection. Fact is, riders will gather at the end of every month for a Mass whether it is advertised or not, and many people do ride in it completely respectfully; appreciative of the fact that it gives them one day of the month where one can ride in Miami in relative safety. Part of that safety is thanks to the Miami Police Department’s protection of the ride. Perhaps the only thing that could soften any reduction of Critical Mass activities would be an increase in bicycle facilities as a gesture of goodwill, such as the protected bike lane concepts that Transit Alliance Miami suggested for Biscayne Boulevard. Otherwise, it is best to make Critical Mass work in favor of the city and bicycle advocacy, using it to bring about better and safer places so people can ride in safety, thus negating the need to “take back the streets” or extensive police protection. Side note: We know that alternative events to Critical Mass exist too – most notably, “Critical Manners;” a normal group bike ride with everyone riding responsibly. While well intentioned, the name and ride’s purpose indirectly suggests that the majority of riders are scofflaws, reinforcing a common stereotype. If this does not relate, consider it from a driver’s side: Would you expect drivers to join forces for a Respectable Roadtrip? Probably not. Remember, America’s history has a song and a movie of the same name – Convoy – that glorifies how we snubbed our noses at the 55MPH speed limit put into place in 1974. Case in point: We would have never seen things like sanctioned tactical urbanism happen if advocates had not first bent the rules by creating tactical urbanism projects without cities’ approval. We’re not condoning this, but the evolution of change speaks for itself in history.